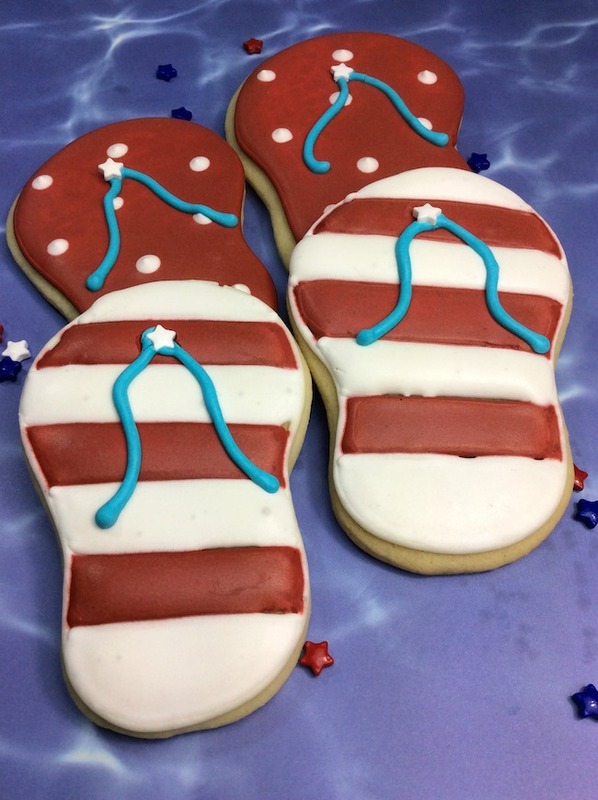 Summer just would not be summer without flip flops – so why not bring on the cookies for your summertime party that are shaped in to a flip flop! 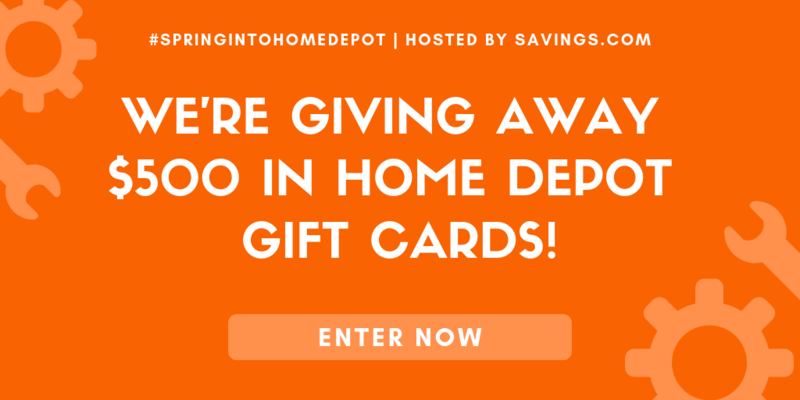 Perfect summertime treat that fits in with any summer party theme. I created these with the fourth of July in mind, but you can use any colors to make them your own. 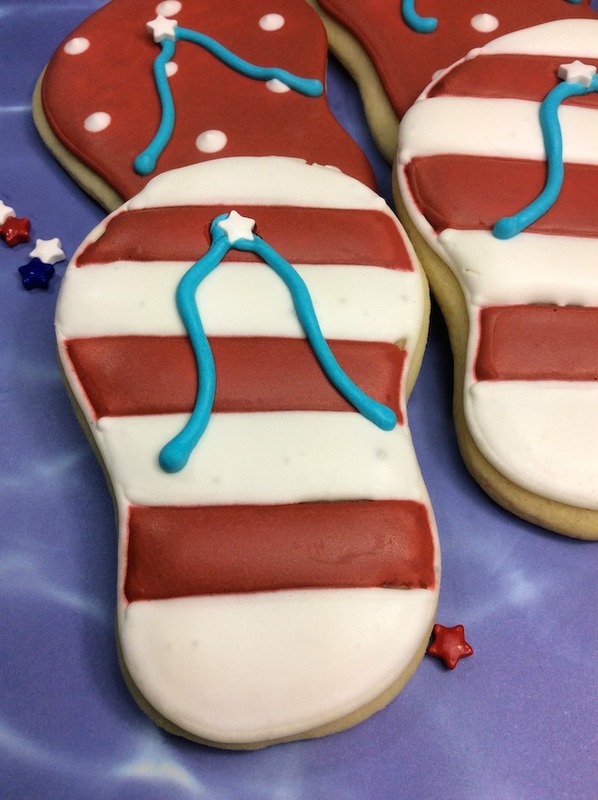 If you are looking for a similar themed cookie, you may want to check out our Surfboard Sugar Cookie recipe. These recipes are similar so you can make them both at the same time! 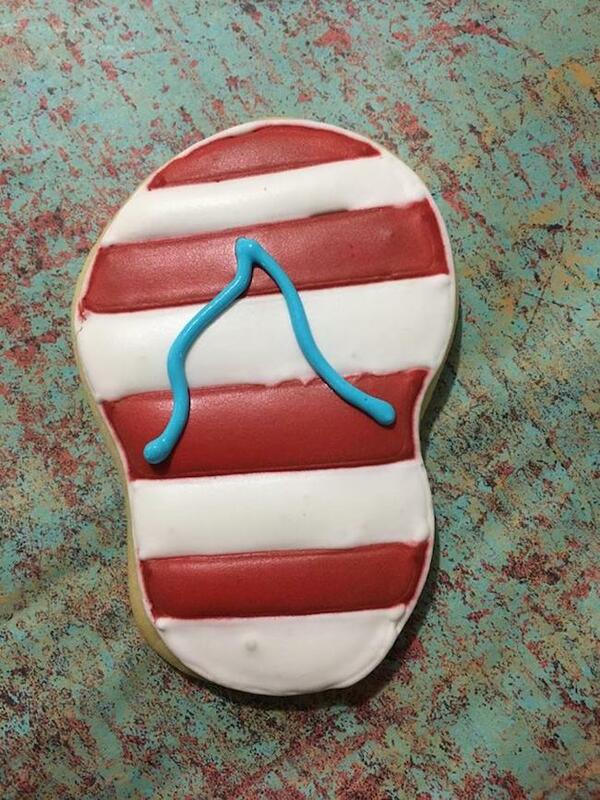 Did you know National Flip Flop Day was a thing? 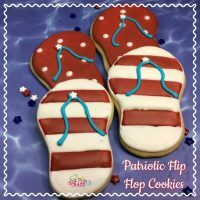 Yep, the 3rd Friday of every June is the day of celebration for this popular footwear, so why not celebrate the kick-off to summer with these great looking flip flop cookies. Easy to make and fun to decorate – these cute sugar cookies will be the star of the party. -Cream the soft butter with the sugar until the combination is smooth not grainy to the touch in a mixing bowl. -Using the remaining icing in the red and white bowls, add 2 TBSP water into the bowls to thin out the icing. 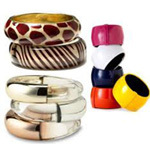 -Pour the thinned icing into the squeeze bottles. -Using the first half cookies, outline them using the white icing. -Take the red icing and pipe in lines to make red strips. -Once the cookies are dry, using the blue icing in the piping bag, pipe on a line and then place a white star sprinkle in the middle on the top-Let sit for 30 minutes before enjoying! 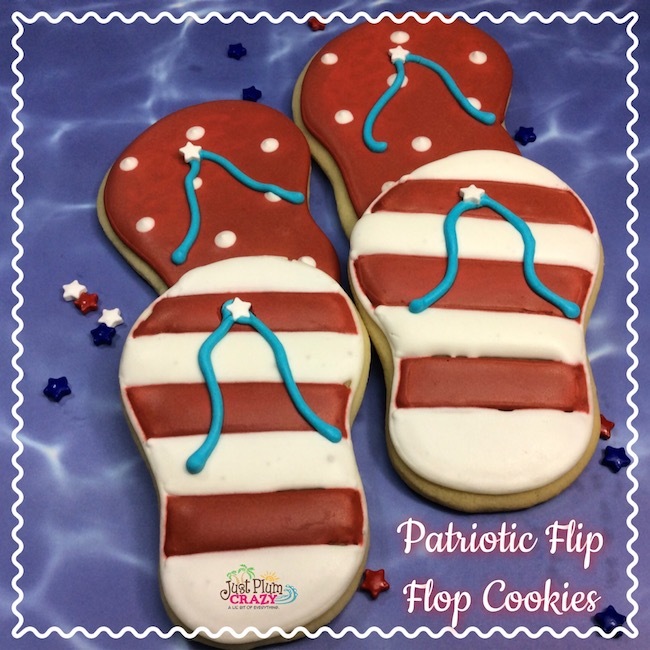 Adorable flip flop styled sugar cookies in red, white and blue. Let cool for 10 minutes before decorating. Using the remaining icing in the red and white bowls, add 2 TBSP water into the bowls to thin out the icing. 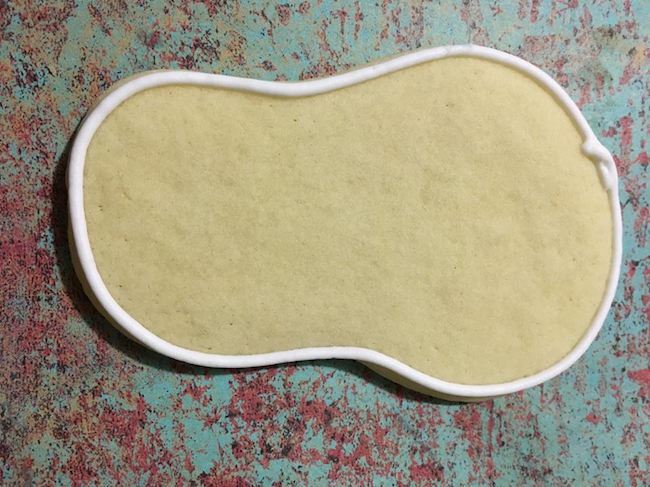 Using the first half cookies, outline them using the white icing. 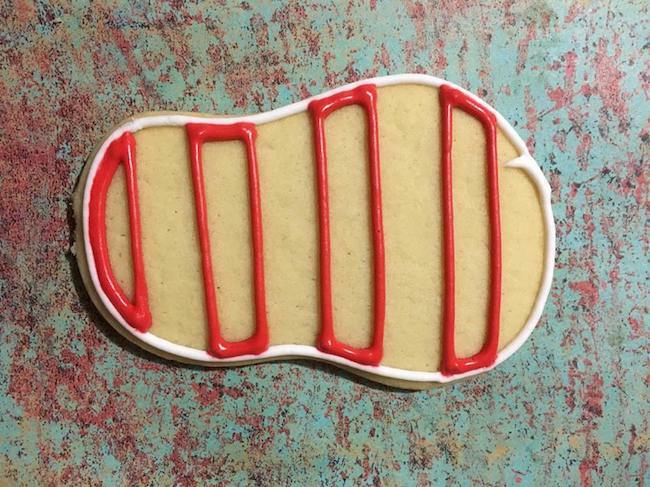 Take the red icing and pipe in lines to make red strips.